"I believe in this. All of it. Our home; Aeria." Marius Shire meant many different things to many different people, to the point where he may as well have been a dozen different people. One unchanging factor of this legendary figure in Aeria's history throughout his life was that his ambitions were always aimed to all of Aeria, if not all of the Crystal Sphere. Born from a wealthy family in North East Occitan, Marius fell victim to slavers at an early age, developing a cynical outlook on the world, and taking up a life of crime in Talibar. Eventually he was enlisted in to the Necromancer's Guild, and proved to hold a tremendous talent with fire magic. Marius proved to be a devoted scholar as he browsed and absorbed the information of all the books he could get his hands on. Eventually, Marius befriended a peer necromancer by the name of Zayl Rathman, a friendship that would mean important things in the future. After some time, Marius experienced rebirth as his soul was cleansed of dark magics, his body of blighted scarring and his mind of hatred for mankind. With his revival, Marius rejoined his friend Zayl to perform several deeds of good for the town of Surna. After the ordeal with The Prophet, Marius decided to leave Surna to travel Aeria, experiencing great personal growth and eventually coming to an epiphany regarding the mortal plane and dieties fighting over it, and decided to form The Vindicators, a league of legendary heroes bound together by the goal of achieving autonomy for Aeria from the dieties. After the group begun to grow without his aid, Marius began work on his most famous and important project; the creation of Surge; the third weave of magic. Using a blade of nightmarish living Dorifium, Marius severed a strand from the weave of magic to create a new weave that was to be the weapon of the Vindicators to counter immortal sway. 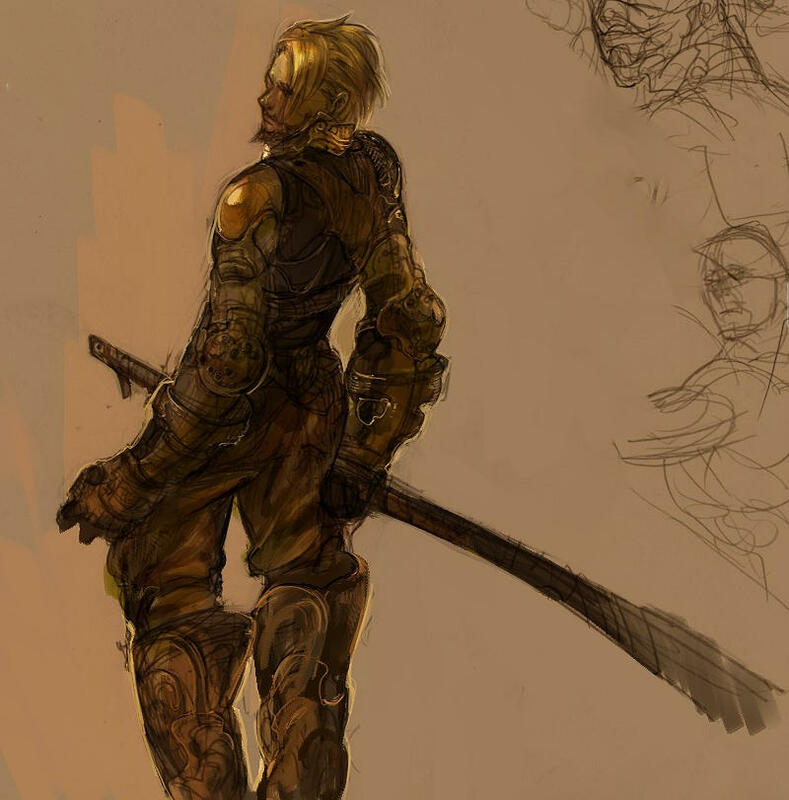 During his journeys, Marius grew to become unparalleled with a sword and excessively intelligent, and despite his introversion and emotional nature, married a fellow vindicator by the name of Nomi. What is rarely known is that Marius' access to living Dorifium would eventually be his undoing, as direct contact lead him to become sickly, and increasingly insane. Tragedy struck when the Talibarian Empire, hungry to learn Surge's secrets and unwilling to experience a power struggle with Marius, declared open war towards the Vindicators, resulting in the death of Nomi and many more. Crushed with grief and crumbling mental stability, Marius rode for Imperia, Talibar's capitol, and as it became under siege by the forces of Shar in a different crisis, Marius slew the Emperor of Talibar in cold blood. Marius believed that justice was served, but it was the first big step Marius took towards losing sight of his morals and mind. At this point in time, the goddess of darkness Shar had already begun an invasion on Talibar and was making frightening progress. Now believing himself to be invincible, Marius sought out to defeat the goddess himself, and from combat with one of Shar's greatest and closest minions, received a mortal wound that would result in Marius' slow and painful death. Before passing, Marius managed to return to Zayl and pass command of the Vindicators to him, telling his closest friend that even in the midst of all his folly, even after he failed his titantic quest of mortal security, he still believed in it all.